Steve,G3ZVW/ZD8N, will be QRV as V73/AF6SU. 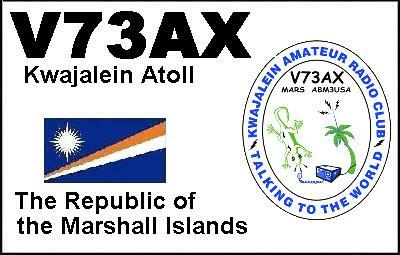 He'll be active from the clubstation V73AX on Kwajalein atoll (Ralik chain, OC-028, Loc RJ38ur) until the end of June. He has been worked on 20m CW already. QSL via G3ZVW.